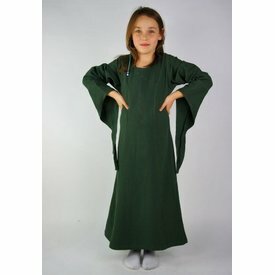 This dress is made of cotton and has wide ending sleeves. It can be tightened with a cord at the back and it can be worn in combination with a belt or an apron. 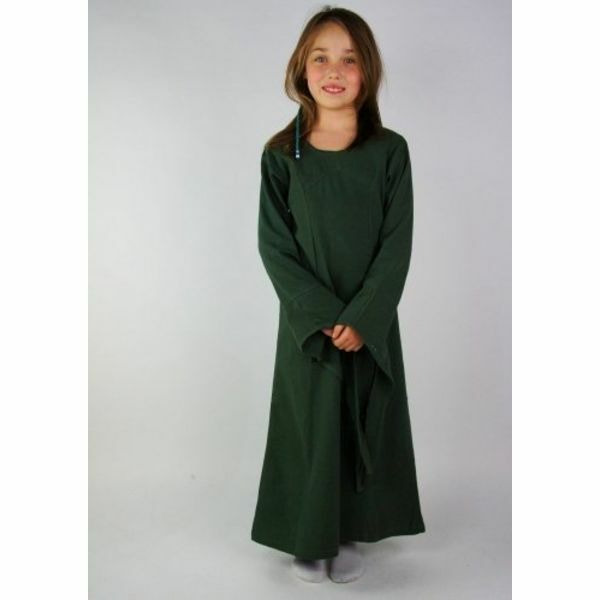 The dress is available in size XXXS to XS in green, red and cream.